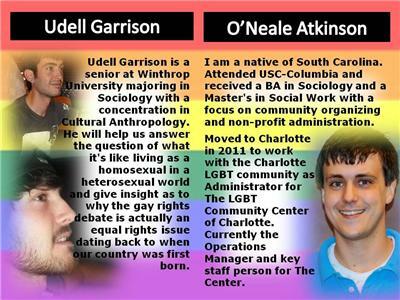 Udell Garrison, a Gay Rights Advocate, will join us to discuss equality, gay rights, and gay marriage. He is a senior at Winthrop University majoring in Sociology with a concentration in Cultural Anthropology. 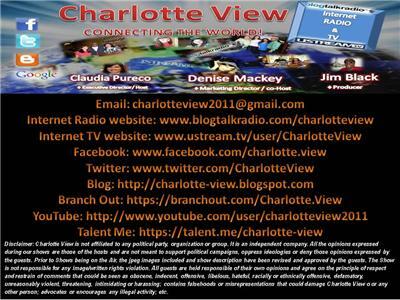 Also joining us will be O'neale Atkinson, a native of South Carolina. Attended USC-Columbia and received a BA in Sociology and a Master's in Social Work with a focus on community organizing and non-profit administration. 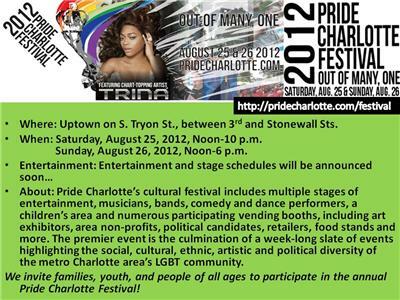 Moved to Charlotte in 2011 to work with the Charlotte LGBT Community Center and is currently the Operations Manager and key staff person. 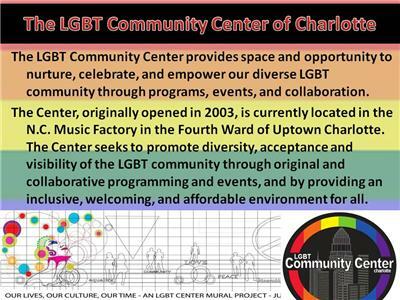 The Center seeks to promote diversity, acceptance and visibility of the LGBT community through original and collaborative programming and events, and by providing an inclusive, welcoming, and affordable environment for all. 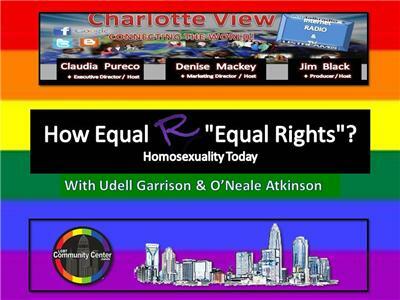 Udell and O'Neale will help us answer the question of what it's like living as a homosexual in a heterosexual world and give insight as to why the gay rights debate is actually an equal rights issue dating back to when our country was first born.